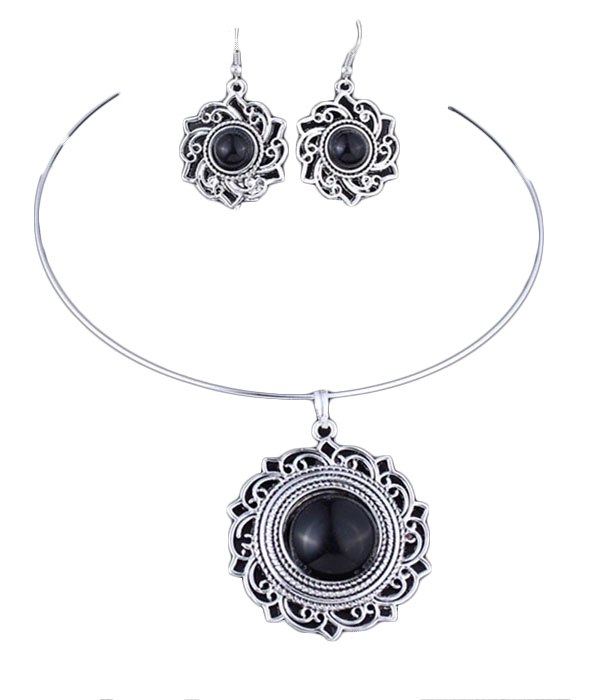 Perfect jewellery for a true lady, this Azalea Boho Necklace Set is made from silver plated metal with black formica stones. Matching necklace and earrings. Order this gorgeous necklace set now from Australia's fastest growing online jewellery store.